Vidia Gayadeen-Gopeesingh was born in El Socorro and has been residing in San Fernando for the past 20 years. She is the daughter of the late Mr. Roopnarine Gayadeen, popular briaha, chowtal and classical singer and the late Mrs. Nandranie Suraj, seamstress and housewife. Vidia is the last child among seven siblings and grew up in the family business of vegetable farming. As such, Vidia shares a common background with many of the constituents of Oropouche West. Her early life influenced her academic career and she proceeded to complete a BSc in Agricultural Economics at UWI, St. Augustine and therefore lectured at the Eastern Caribbean Institute of Agricultural and Forestry for several years. 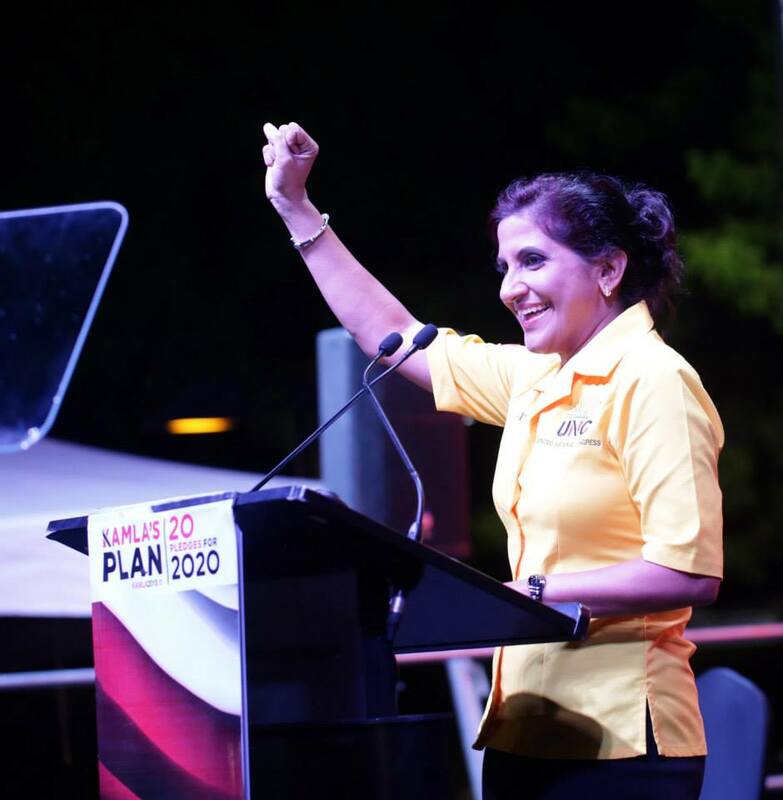 Vidia always had a desire to satisfy her late mothers wish that one of her children should be a lawyer and did so by completing the Bachelor of Laws (LLB) degree and Legal Education Certificate (LEC). At this stage she still felt there was a gap in her academic achievement and soon undertook and completed a Masters of Business Administration (MBA) degree. Vidia is married to Dr. Shevanand Gopeesingh, an Orthopedic Surgeon and present Director of Health at the South West Regional Health Authority. They have two children: Samir who will be starting medical school this year and Shreya a form 2 student at Naparima Girls High School. Vidia’s experience in the Agricultural Sector and as a successful Lawyer, who routinely assist the vulnerable and disadvantage in society have in hands the capability to empathise and understand the specific needs of the constituents of Oropouche West.